Story maps are a great way for kids to begin to understand the basic elements of narrative texts. They can begin by reading stories and learning to identify each element, and then eventually they will also be able to begin writing their own stories using what they’ve learned. This printable story map can be used equally well for recognizing and recording each element in a book and as an outline for writing original stories. Click here or on the picture below to get the printable Story Map. Click on this picture for the printable Story Map. The characters, setting, problem, and solution are the core elements of any story. Here are a few helps as you learn about each element. First, read a story out loud and then just talk about the characters. List them, tell what each one is like both in physical appearance and personality. Draw a picture of each character using the descriptions. List their basic traits so you can really see what each one is like. Ask what s/he would do in a given situation. (What would Little Red Riding Hood do if her friend stole a candy bar from a store? What would Peter Pan do if someone offered him a chance to fly in a spaceship?) Questions like these make kids dig deeper and use their own creative brains instead of just regurgitating parts of stories. Take the same story and talk about the setting (the when and where of the story). Ask about how it might have been different in another setting. 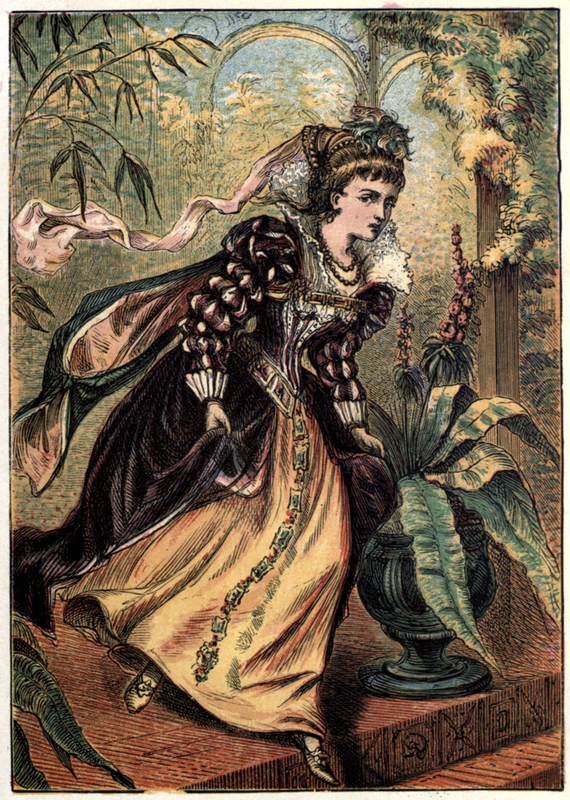 What would a Cinderella story look like today in your town? Would there be a castle or a ball? What might take its place? Look at many stories and settings and re-tell your favorites in alternate settings. Make sure to change BOTH the place and time to get a full grasp of what setting really means. Every good story has a problem or something to overcome. 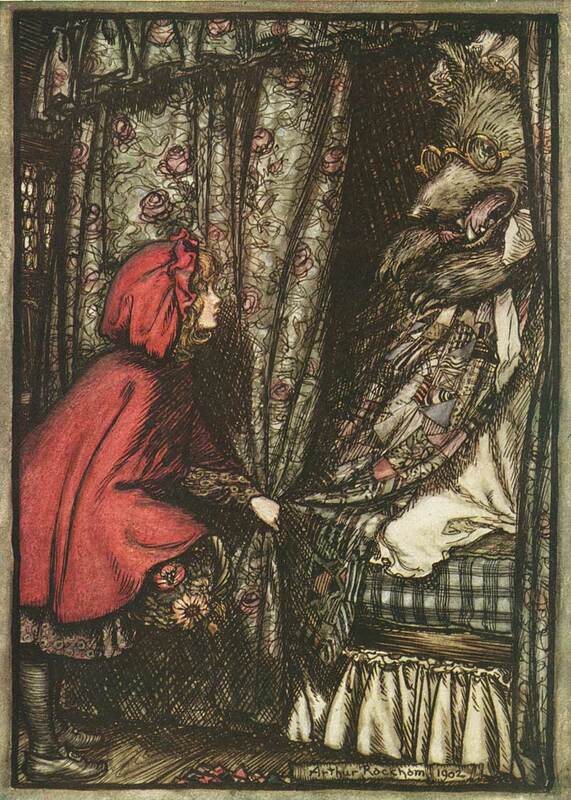 The three little pigs had the big, bad wolf trying to eat them while making their own way in the world. The Little Match Girl was cold and needed to stay warm in the bitter winter weather. Identify together the problems in your favorite stories. 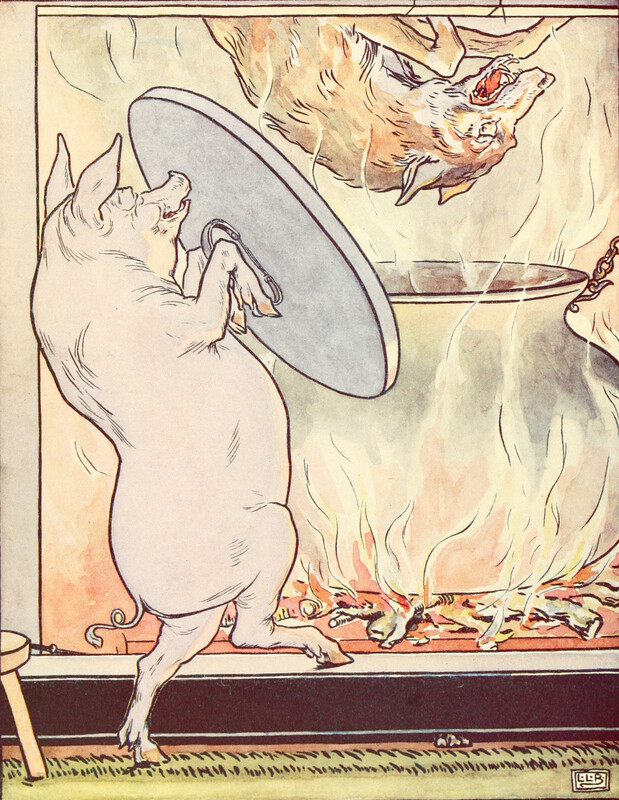 The Three Little Pigs, [Public Domain] By Project Gutenberg via Wikimedia Commons. Because every good story has a problem, every good story must also have a solution. Sometimes the endings are happy and sometimes they’re sad, but there must be an end to the problem somehow. 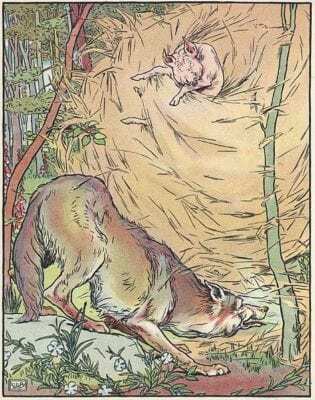 In the Three Little Pigs the Big, Bad Wolf was defeated when he came down the chimney. 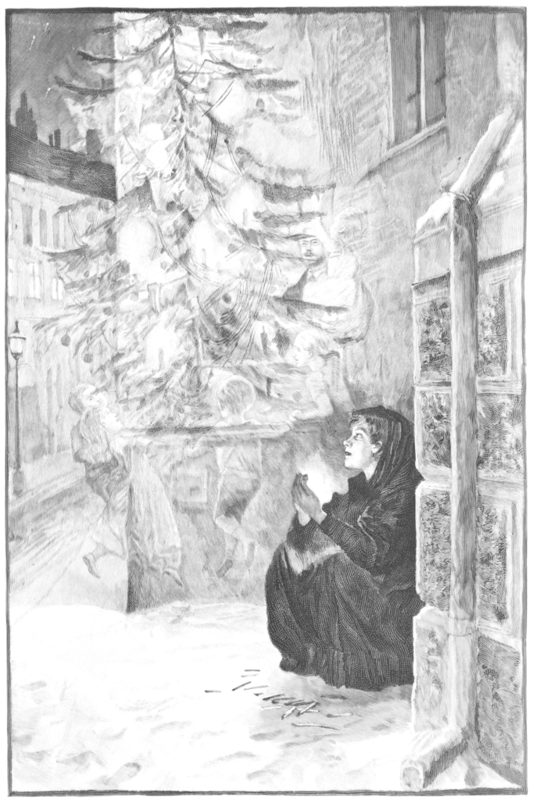 The Little Match Girl’s ending wasn’t so happy – she burned up all her matches to feel just a bit of warmth before dying in the freezing cold. Her ending wasn’t all sad though – in the process of lighting her matches and dying she sees several beautiful and comfortable visions including her grandmother who has died before her, and who then carries her up to heaven where she will suffer no more. Now read more stories and fill out the story map as you discover the elements in the story. When you’ve practiced with a few, you’re ready to write your own story. Begin by planning out your story using the story map. This pre-writing activity will help you outline what you’d like to see in your story and ensure that you aren’t forgetting important elements. When you’re finished, have fun writing your story!